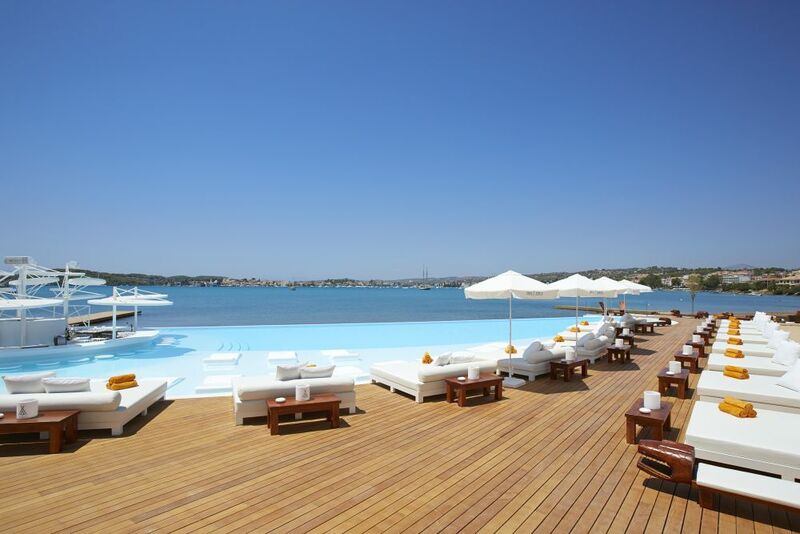 The beach club and view at Nikki Beach Resort & Spa Porto Heli. “Porto Heli is a very special place in Greece; it’s uniqueness and natural beauty make it the perfect place to expand our Nikki Beach brand,” said Jack Penrod, founder and owner of Nikki Beach Worldwide. 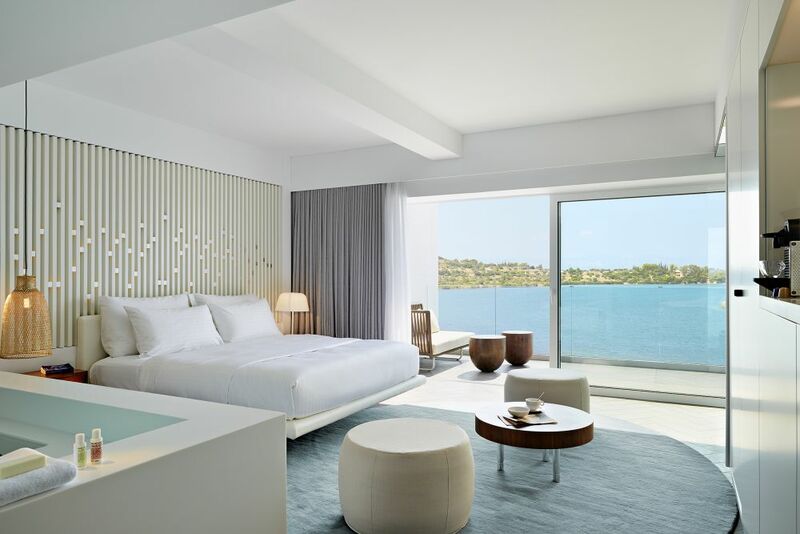 Nikki Beach Hotels & Resorts EMEA, a division of Nikki Beach Worldwide, opened the brand’s latest hotel property in Greece on 1 August: the Nikki Beach Resort & Spa Porto Heli. “We are very proud to be in Greece and to bring our loyal customers from around the world to this magnificent location,” Mr. Penrod added. Located in Porto Heli, a picturesque cosmopolitan village of the eastern Peloponnese region of Greece, the brand new resort can be accessed by car (2½ hours drive from Athens), by Sea Dolphin Ferry (2½ hours from Piraeus Port) or by helicopter (30 minutes from Athens, 50 minutes from Mykonos & 60 minutes from Santorini). 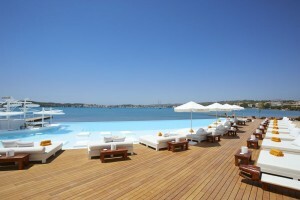 Nikki Beach Resort & Spa Porto Heli is the brand’s second hotel property and 11th permanent location in the world. It is the brand’s first hotel property in The Europe, Middle East and Africa region. The new hotel spans 8,000 square meters and includes 66 state-of-the-art hotel rooms & suites, 2 restaurants, the brand’s world-renowned Beach Club, Nikki Spa, Tone Fitness Center and unique top line amenities. 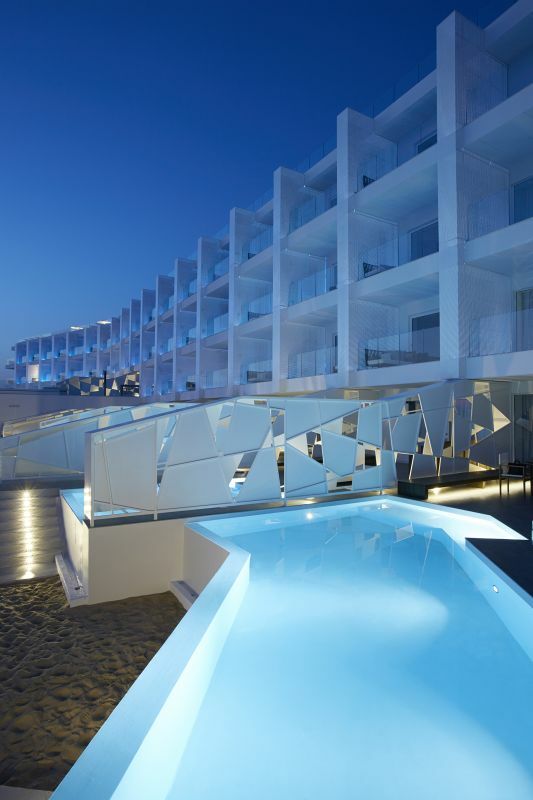 Originally built in the 1970s, the building has been completely transformed into a glamorous boutique resort and is the area’s only seafront hotel offering unobstructed panoramic views of the glistening Aegean Sea. Based on the visions of Jack Penrod, the property was reconverted by Gasterelia Desgin in association with Athens based Arch Group and was renovated using Mediterranean elements fused with high-end design. According to Jihad El Khoury, co-Founder and CEO of Nikki Beach Hotel & Resorts EMEA, Nikki Beach Resort & Spa in Porto Heli is expected to develop into a preferred destination for discerning & dynamic Greek and international travelers. “We have no doubt that we have established a new benchmark for the Luxury Lifestyle Hospitality niche in Greece,” Mr. El Khoury said. All 66 rooms and suites of the hotel have sea views and many also include a private pool. Each room is complete with a large balcony and a spacious bathroom, a deep tub and a spacious walk in shower. 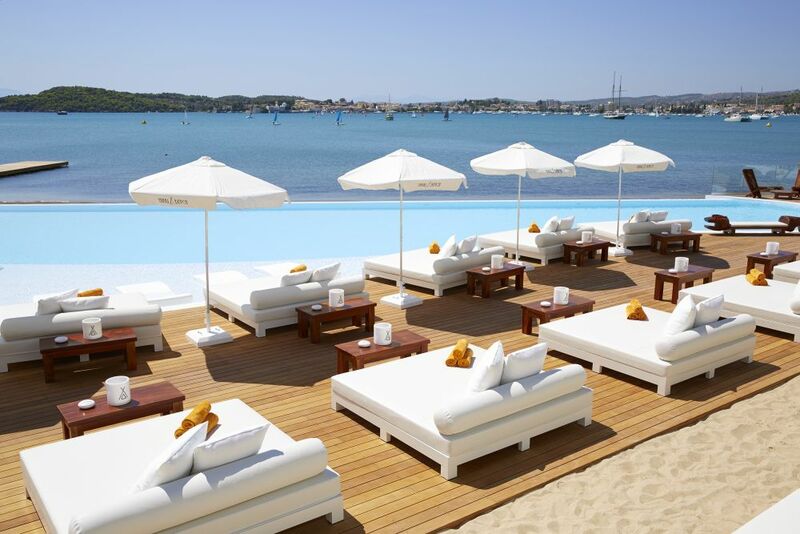 The famous Nikki Beach Restaurant & Beach Club is modeled after the same stylish, contemporary look and feel as all of the brand’s locations around the world and is adorned in plush, all-white sun beds. Guests are able to spend their days and evenings indulging in refreshing cocktails, champagne and an extensive menu of delectable dishes featuring signature tastes and spices representative of all the countries Nikki Beach is located in. “Loyal to its development vision, Dolphin Capital is enriching its Porto Heli Collection with another important and unique hospitality and lifestyle brand,” said Miltos Kambourides, founder of Dolphin Capital. Mr. Kambourides expects the hotel to further enhance the country’s and the Greek Riviera’s positions on the world map of exciting high-end destinations. Nicole Kidman at Nikki Beach Cannes. Since its inception in 1998 by entrepreneur Jack Penrod, the Nikki Beach brand has become known for introducing the world to the ultimate lifestyle & hospitality concept that combines the elements of entertainment, dining, music, fashion, film and art into one. With 11 locations around the world, the Nikki Beach brand has successfully established itself as a powerhouse for those seeking opulence and excellence in some of the world’s most sought after destinations. According to Nikki Beach Hotels, the attentive & friendly service, lavish themed-events, the exceptional dining, music & entertainment and the all-around ambiance and hospitality that the brand is known for, will make Nikki Beach Resort & Spa Porto Heli the most luxurious haven of choice for the world’s jet-set, VIP and celebrity clientele.